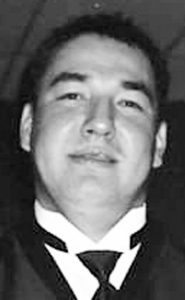 It is with great sadness we announce the sudden passing of our beloved father, brother, uncle, nephew, cousin and friend WADE EVERETT ‘Pahk’siikaikiinahsoyii’ WEASEL HEAD (Wells) at the age of 46 on March, 2, 2019. Left to mourn his passing are his friend Shannon Day Chief; his children; Tay-lynne (J.C) Hunt, Shalaine , Jadelyn, and Bransen Weasel Head; adopted son Travis (Chanel) ES; siblings; Jolie (Fagan), Lydia (Emerson), Sherri (Mike Jr.), Sheila (Paul), Christy, Nathan (Shyanne), Larissa and Anita (Gary); nieces; Heidi (Drake), Madison, Chaliss, Lexus, Coby, Amerie, Angelica, Mikal, Kadence, Tylee, Mia and Veda ES; nephews; Griffin, Chapel, Noah, Kyzer (Cheyenne), Lyle, and Tim Jr. (Jolen) ES; grand-daughter Ophelia and grand-son Xavier; adopted sister’s: Tina ES, Darlene Davis and Candace Shade (MB). Wade was born on January 12, 1973 in Cardston AB to the late Jordan Wells and the late Marilyn Weasel Head (Moses). He was raised on the Blood Reserve, where he would often stay with many relatives and friends. Wade attended school at Stand-off Elementary school, St.Mary’s Jr and Sr High School. He attended Red Crow Community College where he received his GED. Later in his life, he attended the University of Lethbridge where he was working towards obtaining his Bachelor of Management Degree. His work accomplishments include: working as a summer student with the Standoff Superette, BT Recreation, BT Public Works, BT Lands Department, KDL security, Lethbridge Homeless Shelter and contracting for BT Housing. He enjoyed roofing with his auntie Puncho. At an early age, Wade developed a love for the game of hockey. Even before he learned to skate, he would always be seen with a cut hockey stick. His father Jordan taught him how to skate at the age of 3 and since then has always had a passion and love for the game of hockey. The love for hockey, lead him to be a real “rink-rat”. He would spend countless hours at the rink where he would end the day off playing with the oldtimers. Throughout his hockey career he played on numerous teams and brought home many league and provincial championships. A highlight of his hockey career was when he played for the Kainai Golden Chief Organization and they battled against Russia and Sweden. Wade showed tremendous leadership on and off the ice. His second favorite sport was playing slo-pitch. Wade and Lionel Weasel Head put together the Dust Devil’s slo-pitch team where they were both captains and often were looked up to as leaders. Along-side the Dust Devil’s, Wade travelled to Tri-City in Washington to play in the Slo-Pitch World Series. Wade was a natural athlete and caught on to many sports he tried and always brought home many MVP’s, Allstar’s and Championships. His athletic ability gave him the opportunity to travel throughout Canada where he met and developed life-long friendships and family. Wade had many accomplishments he was proud of, but the proudest moments of his life were when he became a father to his children Tay-lynne, Shalaine, Jadelyn, and Bransen. He loved his babies more than words can express and he had a special bond with each and every one of them. In every conversation he would be heard speaking of his children and the love he had for them. His family meant a lot to him. Him being the oldest and only boy, he was a real momma’s boy. He had a special bond with his step-dad Charlie whom he referred to as “Moses”. Along side Marilyn, Charlie, his sisters, and his late grandmother Annie, he travelled across the US to play hand-games. He and his late uncle Tyrone “Jesus” shared a favorite hand-game song. Wade made his cursillo in 1995. Wade had a tender heart. He loved and treated everyone he met with compassion and respect. Wade referred to all his friends and family as his brothers and sisters. His memory will live on in everyone he knew and met. His family will miss him dearly. Left to mourn his passing is his adopted parents Jim & Darlene Plume. His uncles; Jerry Wells, Charlie (Rhonda) WH, Godfrey WH Sr., Mike (Mary) WH, Marcel (Verda) WH, Raymond (Gretta) MB, and John (Debbie) Mcdougall, Richard (Geraldine) W. His aunts; Theresa MC, Nina B, Randa (Danny) WH, Brenda (Tina) WH, Jennifer WH, Delores SA, Donna P, Gloria WH, Carol F, Mary WH, Ernestine WH, Rose (Pat) F, Doreen (Jeff) DR, and Noreen (Lloyd) P. His great-uncles; Pete (Wanda) WH and Tony F. His great-aunts; Harriet and Beauty W, Celestine MB. He was predeceased by his mother Marilyn Weasel Head (Moses) and father Jordan Wells. His maternal grand-parents Annie Plume and Patrick WH Jr. Paternal grand-parents Jim and Molly W. His brother Tim (Roxanne) ES and sister Gina HS. His uncles; Fred, David and Tyrone WH, Jim and Edwin W, and Eric B. His Aunts; Loretta ES, Marlene WH, Florence BR, Joan W, Anna W, Shirley CR, Shirley MH and Darlene Pilling(Wells). His cousins; Murdis ES, Darcy and Lenny WH, Alton and Leland SA, Kayleen SF, Ben CR, and James W. The Family apologizes to any people they may have missed as it is a hard time for them. A Family Service will be at Legacy Funeral Home, Cardston on Friday, March 8th at 4:00 p.m. followed by the Wake Service at the White Calf Hall, Standoff from 6:00 – 11:00 p.m. The Funeral Mass will be at St. Mary’s Catholic Church, Blood Reserve on Saturday, March 9th, at 11:00 a.m.
Sending my condolences . Wade was an amazing and caring friend . He will be missed by all . Prayers for the family at this difficult time .